A rising ecommerce startup has leased half-a-million square feet of distribution center space next to State Island to from the largest industrial REIT in the country. The RealReal, a luxury consignment operation based primarily online, has inked a deal with Prologis for 492,276 s/f at 950 Convery Boulevard in Perth Amboy. Founded as an online-only operation in 2011, the resale brand now has two brick and mortar operations, one in Soho, the other in Los Angeles. The CBRE team of Thomas Monahan, Stephen D’Amato, Larry Schiffenhaus, Anastasia Lazarides and Gerard Monahan negotiated the lease on behalf of Prologis. Shannon D. Aja and Frank Recine of Newmark Knight Frank represented The RealReal. “The RealReal required warehousing space in a central location to meet its very specific and rapidly growing distribution requirements,” said Recine, who now works for JLL. This is The RealReal’s third procurement center in the U.S., following its hubs in Secaucus and Brisbane, California, CBRE Vice Chairman Tom Monahan said. “The company also plans to create another 800 jobs in New Jersey, which will be a tremendous addition to the local economy,” Monahan said. In addition to its robust online customer base and its successful storefronts in Manhattan and West Hollywood, The RealReal also has experimented with pop-up locations in San Francisco, Las Vegas and elsewhere. It secured $115 million in venture capital during its latest round of funding. With 435 million s/f spread throughout more than 2,300 buildings, Prologis is at the forefront of the bustling industrial real estate sector. The San Francisco-based company has pioneered design standards for distribution and fulfillment sites throughout the country and even completed the first multistory ecommerce warehouse in North America, Georgetown Crossing in South Seattle. True to form, 950 Convery features 36-foot ceilings, 86 dock doors and enough room to park 342 vehicles and 127 trailers. 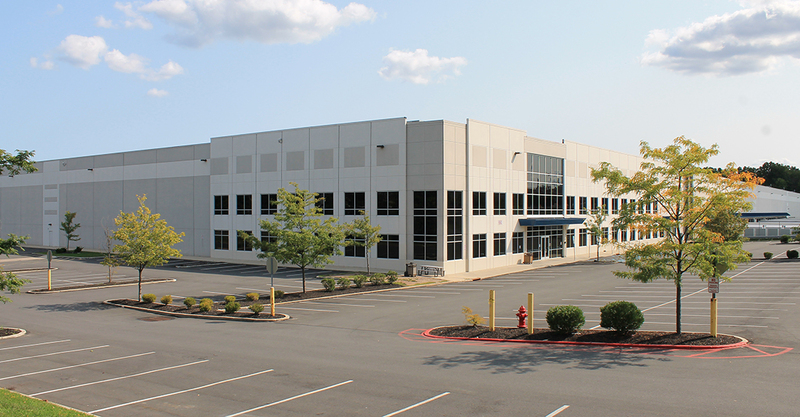 Industrial real estate has been in high demand in Northern and Central New Jersey, especially along the I-287 corridor. Asking rents have steadily risen since 2012, according to a second quarter report from Cushman & Wakefield, reaching $8.48 p/s/f across all property types. Likewise, vacancy rates have plummeted to roughly 3 percent, down from 11 percent in 2010 and the historical average of 7.7 percent. Who still has tax savings as the sun sets on 421a abatement?